The 7 Habits of Highly Effective People by Stephen R. Covey is a self-improvement book. It is written on Covey’s belief that the way we see the world is entirely based on our own perceptions. In order to change a given situation, we must change ourselves, and in order to change ourselves, we must be able to change our perceptions. We all want to succeed. And one path to success is identifying the habits that can help us on our journey. I recommend starting that path by reading Stephen Covey’s best-selling book, The 7 Habits of Highly Effective People. Don’t have time to read all 432 pages? I get it — most of us don’t. That’s why we summarized the entire book for you below. In studying over 200 years of literature on the concept of “success,” Covey identified a very important change in the way that humans have defined success over time. In earlier times, the foundation of success rested upon character ethic (things like integrity, humility, fidelity, temperance, courage, justice, patience, industry, simplicity, modesty, and the Golden Rule). But starting around the 1920s, the way people viewed success shifted to what Covey calls “personality ethic” (where success is a function of personality, public image, attitudes and behaviors). These days, people look for quick fixes. They see a successful person, team, or organization and ask, “How do you do it? Teach me your techniques!” But these shortcuts that we look for, hoping to save time and effort and still achieve the desired result, are simply band-aids that will yield short-term solutions; they don’t address the underlying condition. “The way we see the problem is the problem,” Covey writes. We must allow ourselves to undergo paradigm shifts — to change ourselves fundamentally and not just alter our attitudes and behaviors on the surface level — in order to achieve true change. The positive energy we exert will cause our Circle of Influence to expand. Reactive people, on the other hand, focus on things that are in their Circle of Concern but not in their Circle of Influence, which leads to blaming external factors, emanating negative energy, and causing their Circle of Influence to shrink. 1. Start replacing reactive language with proactive language. 2. Convert reactive tasks into proactive ones. Start with a clear destination in mind. 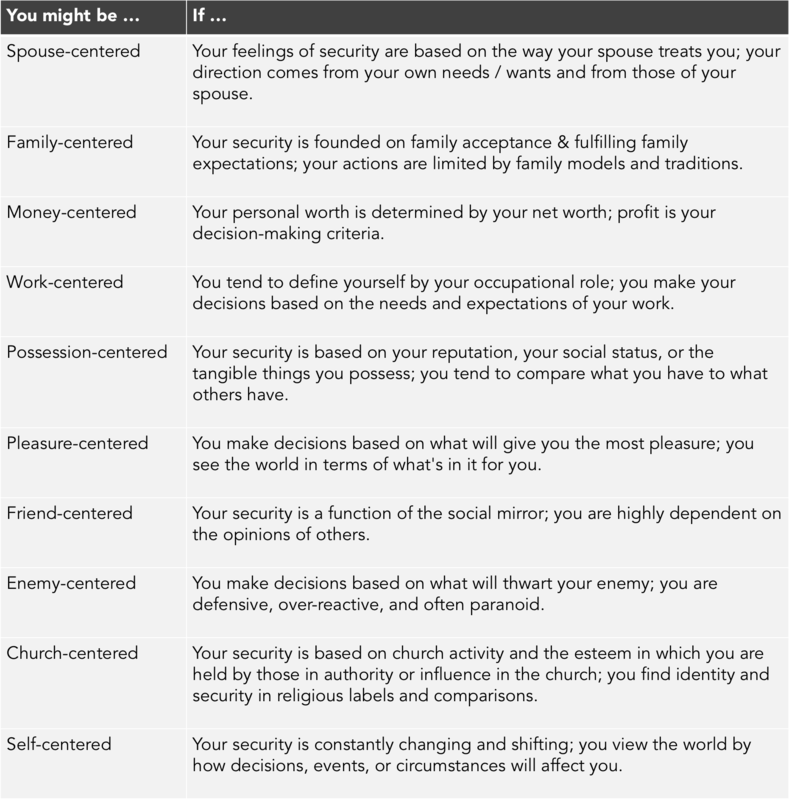 Covey says we can use our imagination to develop a vision of what we want to become and use our conscience to decide what values will guide us. Most of us find it rather easy to busy ourselves. We work hard to achieve victories — promotions, higher income, more recognition. But we don’t often stop to evaluate the meaning behind this busyness, behind these victories — we don’t ask ourselves if these things that we focus on so intently are what really matter to us. Habit 2 suggests that, in everything we do, we should begin with the end in mind. Start with a clear destination. That way, we can make sure the steps we’re taking are in the right direction. Covey emphasizes that our self-awareness empowers us to shape our own lives, instead of living our lives by default, or based on the standards or preferences of others. Before we as individuals or organizations can start setting and achieving goals, we must be able to identify our values. This process may involve some rescripting to be able to assert our own personal values. Rescripting, Covey explains, is recognizing ineffective scripts that have been written for you, and changing those scripts by proactively writing new ones that are built of your own values. It is also important to identify our center. Whatever is at the center of our life will be the source of our security, guidance, wisdom, and power. Our centers affect us fundamentally — they determine our daily decisions, actions, and motivations, as well as our interpretation of events. However, Covey notes that none of these centers are optimal, and that instead we should strive to be principle-centered. We should identify the timeless, unchanging principles by which we must live our lives. This will give us the guidance that we need to align our behaviors with our beliefs and values. 1. Visualize in rich detail your own funeral. Who is there? What are they saying about you? About how you lived your life? About the relationships you had? What do you want them to say? Think about how your priorities would change if you only had 30 more days to live. Start living by these priorities. 2. Break down different roles in your life — whether professional, personal, or community — and list three to five goals you want to achieve for each. 3. Define what scares you.Public speaking? Critical feedback after writing a book? Write down the worst-case scenario for your biggest fear, then visualize how you’ll handle this situation. Write down exactly how you’ll handle it. In order to manage ourselves effectively, we must put first things first. We must have the discipline to prioritize our day-to-day actions based on what is most important, not what is most urgent. In Habit 2, we discussed the importance of determining our values and understanding what it is we are setting out to achieve. Habit 3 is all about actually going after these goals, and executing on our priorities on a day-to-day, moment-to-moment basis. In order to focus our time in Quadrant II, we have to learn how to say no to other activities, sometimes ones that seem urgent. We also need to be able to delegate effectively. 1. Identify a Quadrant II activity you’ve been neglecting.Write it down and commit to implementing it. 2. Create your own time management matrix to start prioritizing. 3. Estimate how much time you spend in each quadrant. Then log your time over 3 days. How accurate was your estimate? How much time did you spend in Quadrant II (the most important quadrant)? 1. Win-Win: Both people win. Agreements or solutions are mutually beneficial and satisfying to both parties. 2. Win-Lose:If I win, you lose. Win-Lose people are prone to use position, power, credentials, and personality to get their way. 3. Lose-Win:I lose, you win. Lose-Win people are quick to please and appease, and seek strength from popularity or acceptance. 4. Lose-Lose:Both people lose. When two Win-Lose people get together — that is, when two determined, stubborn, ego-invested individuals interact — the result will be Lose-Lose. 5. Win:People with the Win mentality don’t necessarily want someone else to lose — that’s irrelevant. What matters is that they get what they want. 6. Win-Win or No Deal:If you can’t reach an agreement that is mutually beneficial, there is no deal. The best option is to create Win-Win situations. With Win-Lose, or Lose-Win, one person appears to get what he wants for the moment, but the results will negatively impact the relationship between those two people going forward. 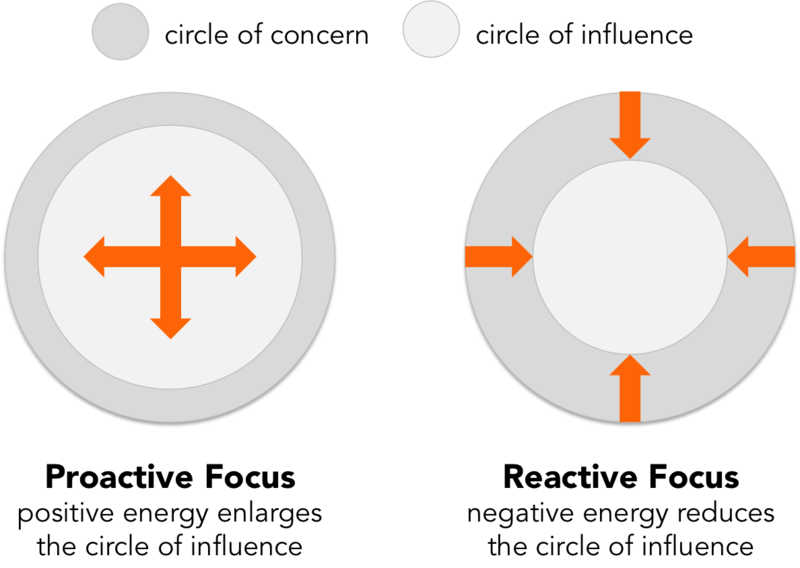 The Win-Win or No Deal option is important to use as a backup. When we have No Deal as an option in our mind, it liberates us from needing to manipulate people and push our own agenda. We can be open and really try to understand the underlying issues. Another important factor in solving for Win-Win situations is maintaining an Abundance Mentality, or the belief that there’s plenty out there for everyone. Most people operate with the Scarcity Mentality — meaning they act as though everything is zero-sum (in other words, if you get it, I don’t). People with the Scarcity Mentality have a very hard time sharing recognition or credit and find it difficult to be genuinely happy about other people’s successes. When it comes to interpersonal leadership, the more genuine our character is, the higher our level of proactivity; the more committed we are to Win-Win, the more powerful our influence will be. To achieve Win-Win, keep the focus on results, not methods; on problems, not people. Lastly, the spirit of Win-Win can’t survive in an environment of competition. As an organization, we need to align our reward system with our goals and values and have the systems in place to support Win-Win. 1. Think about an upcoming interaction where you’ll be attempting to reach an agreement or solution. Write down a list of what the other person is looking for. Next, write a list next to that of how you can make an offer to meet those needs. 2. Identify three important relationships in your life. Think about what you feel the balance is in each of those relationships. Do you give more than you take? Take more than you give? Write down 10 ways to always give more than you take with each one. 3. Deeply consider your own interaction tendencies. Are they Win-Lose? How does that affect your interactions with others? Can you identify the source of that approach? Determine whether or not this approach serves you well in your relationships. Write all of this down. Email is one place we all quickly build poor habits. 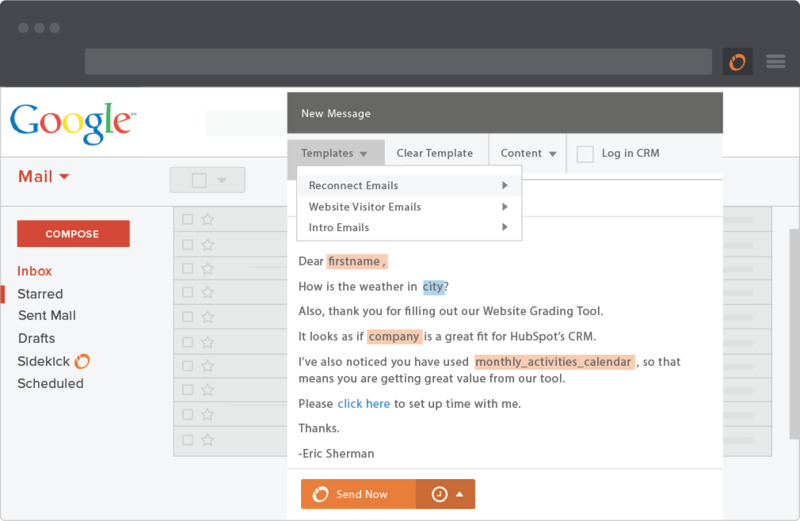 Rather than wasting time by copying and pasting email templates that you use every day, we recommend using HubSpot’s free CRM to easily send personalized email templates in Gmail and Outlook. Before we can offer advice, suggest solutions, or effectively interact with another person in any way, we must seek to deeply understand them and their perspective through empathic listening. Let’s say you go to an optometrist and tell him that you’ve been having trouble seeing clearly, and he takes off his glasses, hands them to you and says, Here, try these — they’ve been working for me for years!You put them on, but they only make the problem worse. What are the chances you’d go back to that optometrist? Unfortunately, we do the same thing in our everyday interactions with others. We prescribe a solution before we diagnose the problem. We don’t seek to deeply understand the problem first. Habit 5 says that we must seek first to understand, then to be understood. In order to seek to understand, we must learn to listen. We can’t simply use one technique to understand someone. In fact, if a person senses that we’re manipulating her, she will question our motives and will no longer feel safe opening up to us. To listen empathically requires a fundamental paradigm shift. We typically seek first to be understood. Most people listen with the intent to reply, not to understand. At any given moment, they’re either speaking or preparing to speak. But if we replace these types of response with empathic listening, we see dramatic results in improved communication. It takes time to make this shift, but it doesn’t take nearly as long to practice empathic listening as it does to back up and correct misunderstandings, or to live with unexpressed and unresolved problems only to have them surface later on. The second part of Habit 5 is … then to be understood. This is equally critical in achieving Win-Win solutions. When we’re able to present our ideas clearly, and in the context of a deep understanding of the other person’s needs and concerns, we significantly increase the credibility of your ideas. 1. Next time you’re watching two people communicating, cover your ears and watch. What emotions are being communicated that might not come across through words alone? Was one person or the other more interested in the conversation? Write down what you noticed. 2. Next time you give a presentation, root it in empathy. Begin by describing the audience’s point of view in great detail. What problems are they facing? How is what you’re about to say offering a solution to their problems? By understanding and valuing the differences in another person’s perspective, we have the opportunity to create synergy, which allows us to uncover new possibilities through openness and creativity. For example, if you plant two plants close together, their roots will co-mingle and improve the quality of the soil, so that both plants will grow better than they would on their own. Synergy allows us to create new alternatives and open new possibilities. It allows us as a group to collectively agree to ditch the old scripts and write new ones. So how can we introduce synergy to a given situation or environment? Start with habits 4 and 5 — you must think Win-Win and seek first to understand. Once you have these in mind, you can pool your desires with those of the other person or group. And then you’re not on opposite sides of the problem — you’re together on one side, looking at the problem, understanding all the needs, and working to create a third alternative that will meet them. By putting forth a spirit of trust and safety, we will prompt others to become extremely open and feed on each other’s insights and ideas, creating synergy. The real essence of synergy is valuing the differences — the mental, emotional, and psychological differences between people. After all, if two people have the same opinion, one is unnecessary. When we become aware of someone’s different perspective, we can say, Good! You see it differently! Help me see what you see. We seek first to understand, and then we find strength and utility in those different perspectives in order to create new possibilities and Win-Win results. Now next time you’re in a disagreement with that person, try to understand their concerns and why they disagree with you. The better you can understand them, the easier it will be to change their mind — or change yours. To be effective, we must devote the time to renewing ourselves physically, spiritually, mentally, and socially. Continuous renewal allows us to synergistically increase our ability to practice each habit. Habit 7 is focused around renewal, or taking time to sharpen the saw. It surrounds all of the other habits and makes each one possible by preserving and enhancing your greatest asset — yourself. Physical Dimension:The goal of continuous physical improvement is to exercise our body in a way that will enhance our capacity to work, adapt, and enjoy. Focusing on the physical dimension helps develop Habit 1 muscles of proactivity. We act based on the value of well-being instead of reacting to the forces that keep us from fitness. Spiritual Dimension: The goal of renewing our spiritual self is to provide leadership to our life and reinforce your commitment to our value system. A focus on our spiritual dimension helps us practice Habit 2, as we continuously revise and commit ourselves to our values, so we can begin with the end in mind. Mental Dimension: The goal of renewing our mental health is to continue expanding our mind. Focusing on our mental dimension helps us practice Habit 3 by managing ourselves effectively to maximize the use of our time and resources. Social/Emotional Dimension: The goal of renewing ourselves socially is to develop meaningful relationships. Renewing our social and emotional dimension helps us practice Habits 4, 5, and 6 by recognizing that Win-Win solutions do exist, seeking to understand others, and finding mutually beneficial third alternatives through synergy. As we focus on renewing ourselves along these four dimensions, we must also seek to be a positive scripter for other people. We must look to inspire others to a higher path by showing them we believe in them, by listening to them empathically, by encouraging them to be proactive. The real beauty of the 7 Habits is that improvement in one habit synergistically increases our ability to improve the rest. Renewal is the process that empowers us to move along an upward spiral of growth and change, of continuous improvement. 1. Make a list of activities that would help you renew yourself along each of the 4 dimensions. Select one activity for each dimension and list it as a goal for the coming week. At the end of the week, evaluate your performance. What led you to succeed or fail to accomplish each goal? 2. Commit to writing down a specific sharpen the saw activity in all four dimensions every week, to do them, and to evaluate your performance and results.